Station 336 Salon welcomes Kati Bustamante!!!! Tina has been a stylist for 18 years. She has always worked in Colorado. She started her career in Boulder as a Color Specialist where she worked for 6 1/2 years. She then moved her business to Longmont, where she expanded her horizons by training closely with the TIGI Artistic Team and Toni & Guy Stylists. Tina believes that continuing education is crucial to the business, as styles constantly change. Tina is certifiied in many different areas of the business including Color Certification, as well as being certified in Permanent Relaxers. Tina has worked with many different color lines, and has found favorites within them. She currently uses Redken, Schwartzkopf, Framesi, Joico, TIGI, & Pravana. 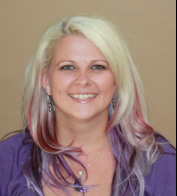 To make your appointment with Tina, please call her directly at 720-205-3521 or @ the Salon. Cristel has been doing hair forever. She pretty much can handle anything you throw at her. Cristel has been extensively trained in hair color, highlights, and low lighting. She has expertise in color placement. Cristel has training in point cutting, precision hair cutting and razor cutting. She has been in the Longmont area for over 25 years. She is fun and energetic. Teri has been doing hair in the Longmont area for over 25 years. She specializes in Aloxxi Hair color. The new generation of hair color. Her color techniques include specialized color placement with highlights, lowlights, and weaving. Teri also includes perms in her services, mens hair cuts and facial waxing. 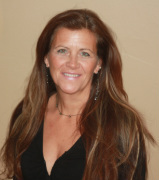 Lisa has been actively working as a cosmetologist for over 25 years. She apprenticed under two master stylists in Boulder and has incredible knowledge in Alloxy, Redken, Schwarzkopf and L'Oreal colors. She is a Senior Master Stylist in all aspects of color placement and precision hair cutting specializing in texturizing, razor and point cutting. Certified on Brazilian Blow Outs. She is a wonderful and friendly person that is professional, fun, and energetic. Her clients always leave STATION 336 SALON looking and feeling great! To make an appointment with Lisa, please call her directly at 970-310-0807 or the Salon. Julie has been a hairstylist since 1984. She enjoys people, and making them look good and feel great. She specializes in hair cutting,including the Deva cutting method, hair coloring, facial waxing and perming hair. Her color techniques include color placement, highlights, lowlights, weaving or using a cap, with color lines from Wella Color Perfect, and Midway. To stay current on the latest trends, Julie attends many cut and color classes and seminars. Her clientele consists of men, women and children. Julie is a Longmont native and a member of the Longmont Chamber of Commerce. 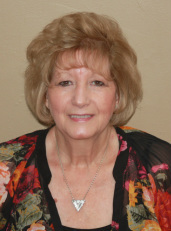 Donna Johnson has been a Cosmetologist for 42 years. She has also taught at Boulder Valley Vo-tech and Sharon Dorrans/Longs Peak Academy Beauty College. She is a Licensed Cosmetologist/Reflexologist. 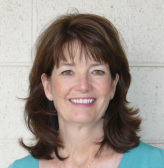 Her Certifications include Mediceu-Cals and management programs. 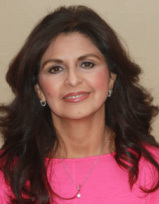 She has owned two salons at Changes Nail & Hair Spa & Lyons Beauty Salon, as well as Managed at JC Penney. Her hobbies include: Car Shows, reading, playing cards, board games, genealogy and volunteer work with the seniors of Lyons. Donna specializes in thin hair and curly hair, razor cuts, customized perms and color and highlights. As a stylist she will listen to you. Your style is what makes you and together we make a reflection! Jessica has been a hairstylist for 17 years. Haircutting for Women, Men and Children. She has been extensively trained by Scruples and carries a wide variety of their products for your personal use. She has a special Certification on Brazillian Blowout. She believes continuing education is the best way to stay up to date on the latest Trends and Styles both in Cutting and Coloring.